By John Murdoch on 2018-11-26 - John is regional editor for Media Scotland's Lanarkshire and Lothian titles. Three times president of the Association of Scottish Motoring Writers he has been writing about cars for over 40 years. Recently awarded lifetime membership of the National Union of Journalists and was the subject of a motion in the Scottish Parliament congratulating him on his service to newspapers. GREAT to look at, brilliant off-road and much better on Tarmac the new fourth generation SuzukiJimnyis sure to be in great demand. 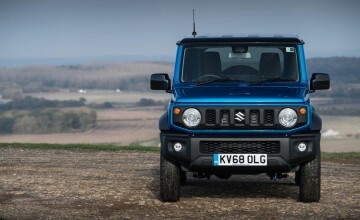 Suzuki has already over 10,000 potential customers looking at its details online and only 1,200 cars will be available for sale in the UK during 2019 due to limited supply. 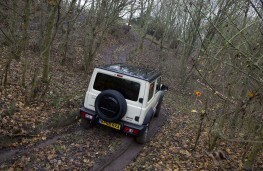 Sales will start on January 1 with prices for the iconic 4x4 starting at £15,499. The little off-roaderhas been about for almost 50 years and for the past 20 in the shape of theJimnywhich was launched in the UK at Scotland'sGleneaglesHotel back in 1998. 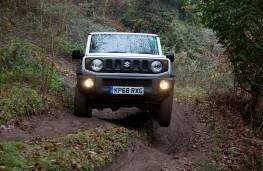 I attended that launch event and like everyone else was astonished by the little car's off-road performance. Loyal followers - and theJimnyhas plenty - will be glad to hear that it is now even more capable. Over 42,000Jimnymodels have been sold in the UK to date and most of the originals are still going strong. 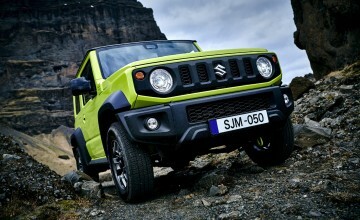 The new car gets a new tougher rugged look. The design is still retro with a tall boxy shape, wide front grille, round headlights and flatclamshellbonnet. 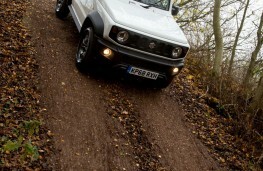 It comes in six colours - some of them really bright to increase theJimny'sfunky appeal. Some of the design touches are purely functional to make sure that theJimnyis able to handle tough terrain, so the large windows and small pillars maximise visibility while thewheelarchesfeature chunky cladding to protect the 15-inch alloy or steel wheels. The tailgate is now bigger to allow easier access to the larger boot with the lights moving to the rear bumper. 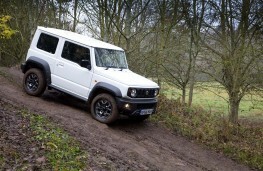 A spare wheel is still bolted to the tailgate and enhances the off-road appeal. The dimensions are almost exactly the same as before, although the new car is slightly wider and taller. Ground clearance is a handy 210mm. Bootspaceis tight at 85 litres but this can be increased to 377 litres by collapsing the rear seat to provide a totally flat floor. The boot floor and the backs of the rear seats are coated in plastic so that they can be washed easily. Only two models will be available, the SZ4 and the SZ5 to simplify things. 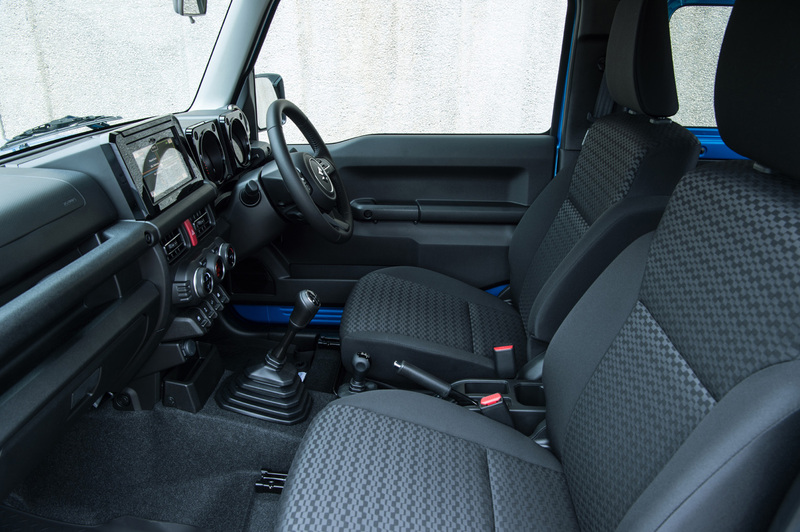 At £15,499 the SZ4 is about £750 costlier than the old model it is now equipped with air conditioning, DAB radio and cruise control as well asBluetoothconnectivity and extra safety features including lane departure warning, a driver fatigue monitor and automatic emergency braking. The SZ5 starts at £17,999 and adds alloy wheels, heated front seats, navigation and full climate control. The infotainment system features AppleCarPlayand Android Auto. Metallic paint versions will add £485 or a two-tone scheme will cost £650 and is well worth it. The dashboard is now modern with some of it being lifted from the Swift and everything is functional and the instruments easy to read. In a neat touch the switches are all large enough to operate while wearing gloves and that also applies to the touchscreen. Power is supplied by a brand new 1.5-litre naturally aspirated four-cylinder petrol engine as Suzuki's popular 1.0-litreBoosterJetthree-cylinder unit was not thought to be suitable for theJimny. 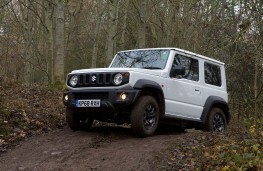 The new engine meets all the latest regulations and is good for 41.5mpg when linked to the five-speed manual gearbox. Pay a £1,000 extra for the automatic and you can expect 37.6mpg. The manual is good for a top speed of 90mph and the four-speed auto does 87mph. Acceleration to 60mph should take just over 13 seconds in both models but in this car who cares? 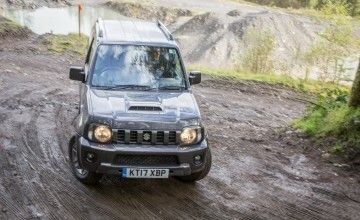 TheJimny'sAllgripProdrivetraincan be configured in three ways using a lever that sits beside the gear stick. You can select 2H for front-wheel-drive, 4H for four-wheel-drive and 4L activating the low range transfer gear for really harsh off-road conditions. Hill descent control is engaged at a touch of a button. 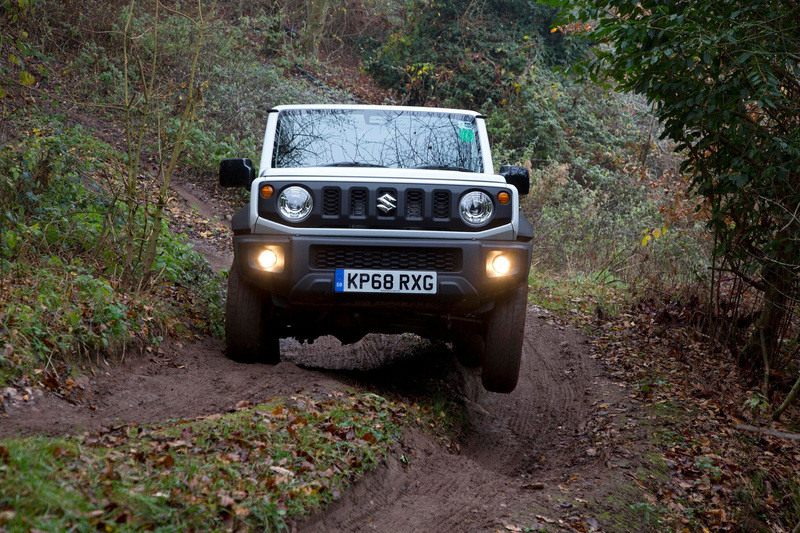 A muddy, rutted and stony off-road circuit at theStoneleighnational agriculture centre in Warwickshire provided theJimnywith a tough test but the little Suzuki was up to the challenge and dealt easily with terrain that would have grounded much more expensive machinery. Its performance over the rough stuff is truly impressive even on normal road tyres and there is simply nothing that can match it unless you pay almost four times as much. 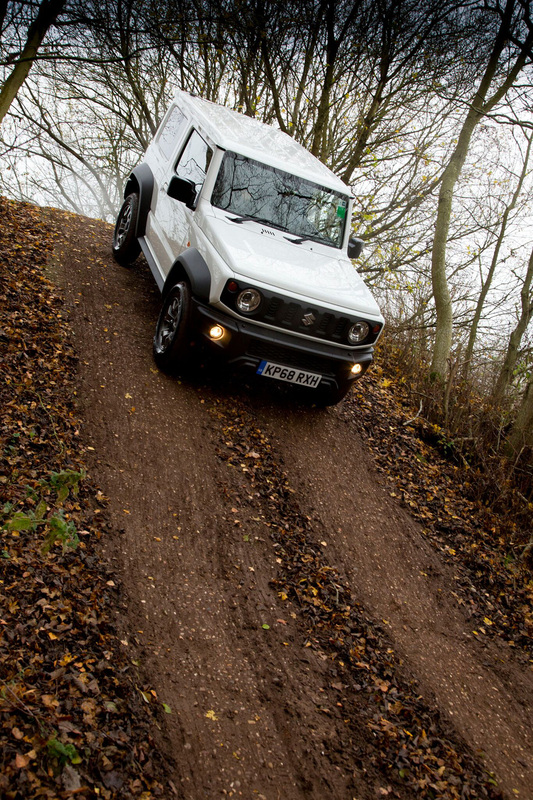 Its on road manners are much better too with better steering, increased refinement and less roll on tight corners. 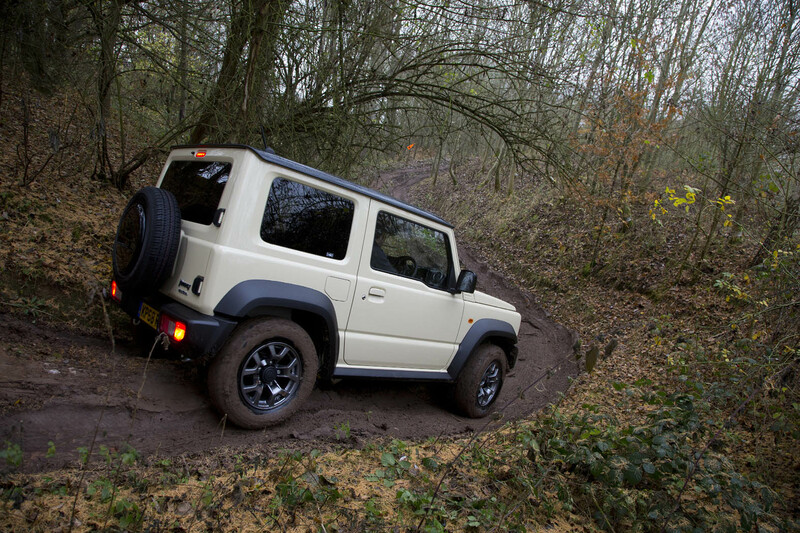 The new Jimny is sure to be sought after by current owners but its added charm will also attract demand from urban dwellers who also have a taste for the wild.